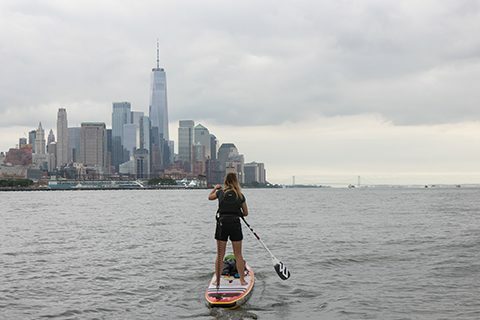 British activist completes 170-­‐mile paddle boarding challenge along the Hudson River in New York to highlight plastic pollution. 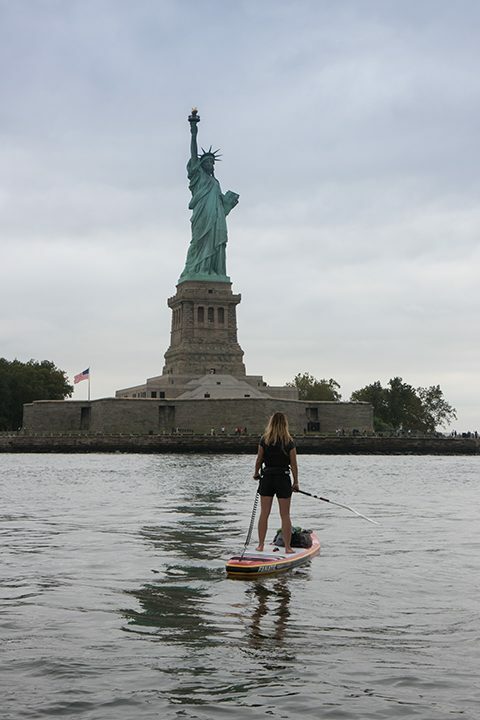 Double world record holder paddles from Albany to Statue of Liberty in eight-­‐day endurance challenge, calling for companies to take responsibility for plastic they produce. 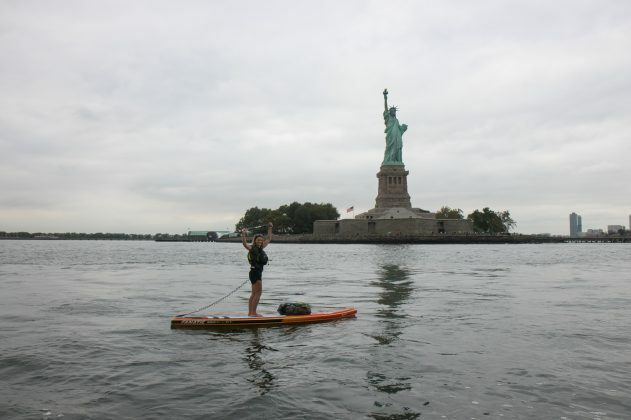 Environmental activist Lizzie Carr has become the first person to successfully paddleboard the navigable length of New York’s Hudson River -­‐ a 275km journey from Albany in from New York State to the Statue of Liberty. 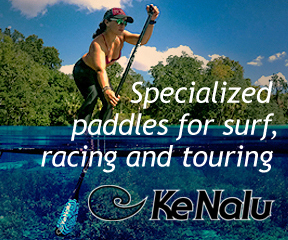 Lizzie, who paddled for up to nine hours a day for eight consecutive days, confronted unpredictable conditions throughout her journey. The incoming Hurricane Florence brought gusts of wind up to 30mph with large swells along the East Coast. This, coupled with intermittent thunderstorms, torrential downpours, strong currents and commercial shipping traffic on a river that spans 3.5 miles at its widest point, makes this feat of endurance all the more impressive. “Gathering and plotting photographic evidence is a really powerful way of building evidence against the brands and manufacturers responsible for creating it and what better place to end this challenge than in the heart of New York City where a lot of these companies are based.” Lizzie is working in partnership with Riverkeeper and Hudson River Park to compare and analyse data collected. Carrie Roble, Director of Science and Stewardship at the Hudson River Park Estuary Lab said: “The Hudson River is one of the largest estuaries in the United States, making it a significant place for Lizzie to highlight how micro plastics are impacting the world’s waterways,”.